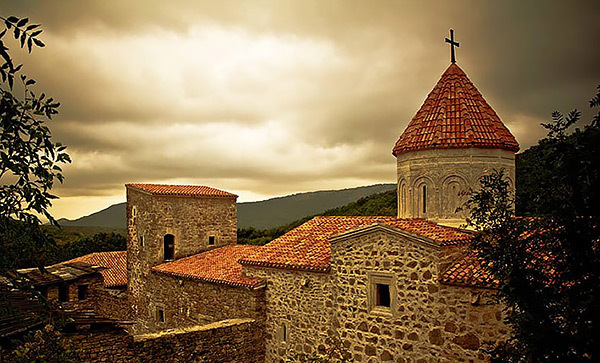 There are different opinions concerning the religious preferences of the Crimeans. Some assert that Crimea is purely Orthodox and Moscow Patriarchate at that. Others believe that Islam dominates by reason of the extensive Crimean Tatar community. But there’s actually a wide variety of religions and different denominations present on the Crimean peninsula, which is explained by the high level of religious freedom all over Ukraine. Democratic legislation, the absence of a state church or religion, and the principle of equality among all religions under the law have fostered favorable conditions for the formation of religious pluralism in Ukraine. Sociologists also note the rather high level of tolerance of Ukrainian citizens toward believers of the other religions, which is also reflected in the development of an extensive network of religious organizations, including in Crimea. According to the latest statistics from the Ministry of Culture of Ukraine, at the beginning of 2014 there were 2083 active religious organizations of various types in Crimea, representing 5.6% of the total number in Ukraine. Of these, 1409 act with the status of a legal entity, and the remaining 674 religious communities exercise the right to engage in religious activities without registering. These figures exclude communities that do not have status as a legal entity. If they were taken into account, Islam would be the leader on the peninsula. After all, 575 communities of the Spiritual Directorate of Muslims of Crimea, as well as about 30 Evangelical Christian communities, operate without having registered as a legal entity. To paint an objective picture, we should state that within the different denominations, communities can have differing numbers of believers. Some of them have ten members, which is the minimum number of founders according to the Ukrainian law; in others, a single congregation may have more than a thousand parishioners. This suggests that for many years already on the Crimean peninsula, different religious communities have not only coexisted, but have also continued to develop communities of believers of various faiths. Altogether there are 42 denominations in Crimea, many of which expand their structure from year to year. With such religious variety, fictions of harassment of individual religions and usurpation of the Orthodox temples, with the help of which Russia justifies its aggression, seem especially cynical. This is all the more egregious when we consider that the first reports of flagrant persecutions of Ukrainian churches and priests appeared immediately after the occupation of Crimea by Russian troops. Further developments will reveal whether Crimeans will be able to exercise the rights and civil freedoms to which they are accustomed, including the freedom of religion.